1. The insufficient KH (carbonate hardness) will suddenly change the stable pH of water! 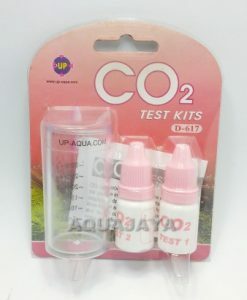 The rapid fluctuation of pH will severely impact the life of aquarium life, then ruin the normal ecological system. There is no normal and safe pH condition without firm and stable KH value! To keep the correct balanced KH value is very important rather than only measure the pH of water, but it is usually neglected by the hobbyists. 2. 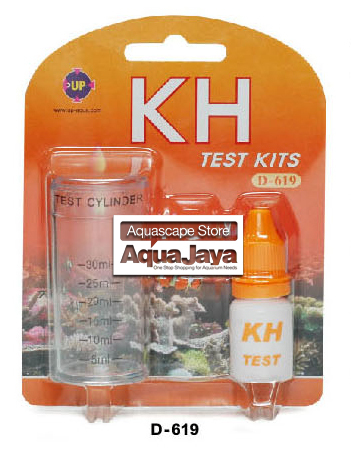 The safe KH value normally is 9-11 degree for marine tank to lead the stable pH condition. Especially to the invertebrate aquarium, the fair KH condition is the key point to maintain the tank in very long term. 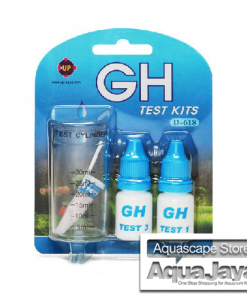 To those freshwater plant aquarium need relative KH condition and African cichlid, 3-5 degrees of KH is necessary. 3. ST international Test KH can accurately read the correct KH value and offer the best suggestion to your maintenance of water quality. The ST international KH builder will easily raise KH up and keep it at the safe and stable condition from its well prescription for those environments in insufficient KH. The total number of drops is the carbonate hardness value (dKH, Deutsch carbonate) in the water.